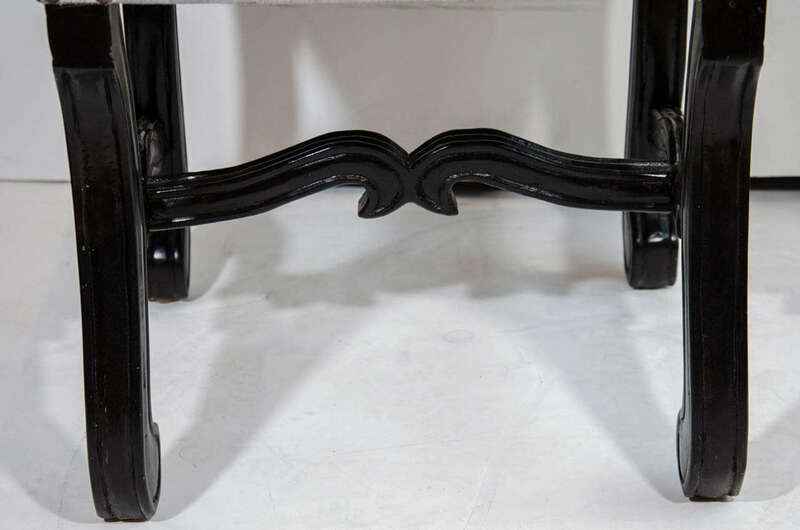 Elegant mid-century vanity stool with hand-carved walnut wood base in ebonized finish. 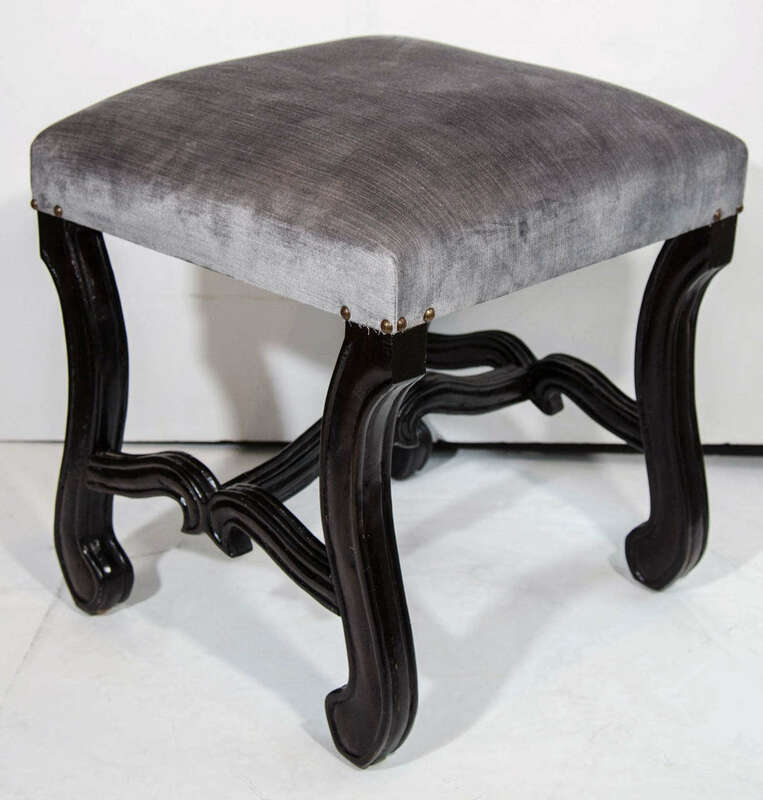 Newly upholstered in luxe grey velvet with antique brass stud details. 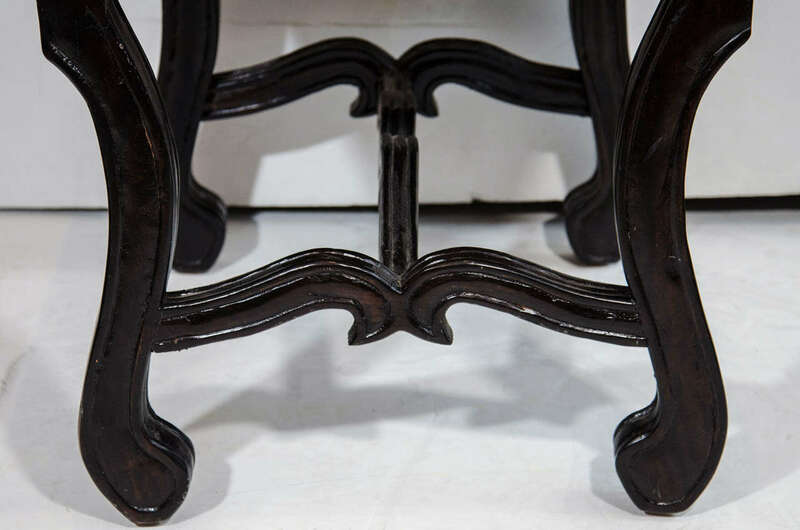 The bench features scrolled cabriole leg design and stylized cross stretcher with carved ribbon form. New upholstery and finish. Minor wear consistent with age. Organic modern cube side table or drink table made of teak root wood. Natural wood coloration and wood variations on all four sides. 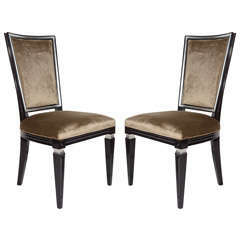 Amazing pair of vintage newly brass-plated stools, benches, ottomans in a newly upholstered pink blush velvet. 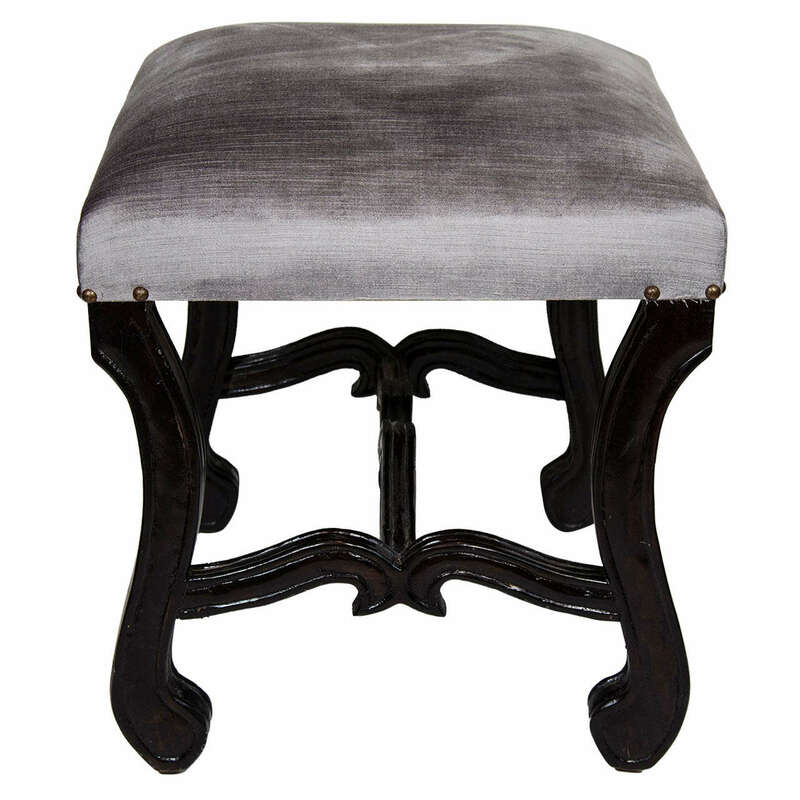 Gorgeous Mastercraft style Hollywood Regency brass bench upholstered in a fun patchwork pattern of an assortment of pink velvets. Unique and eye-catching. Beautiful vintage brass bench perfect for end of the bed! This piece had the brass professionally polished. Newly upholstered in a marble agate swirl fabric.